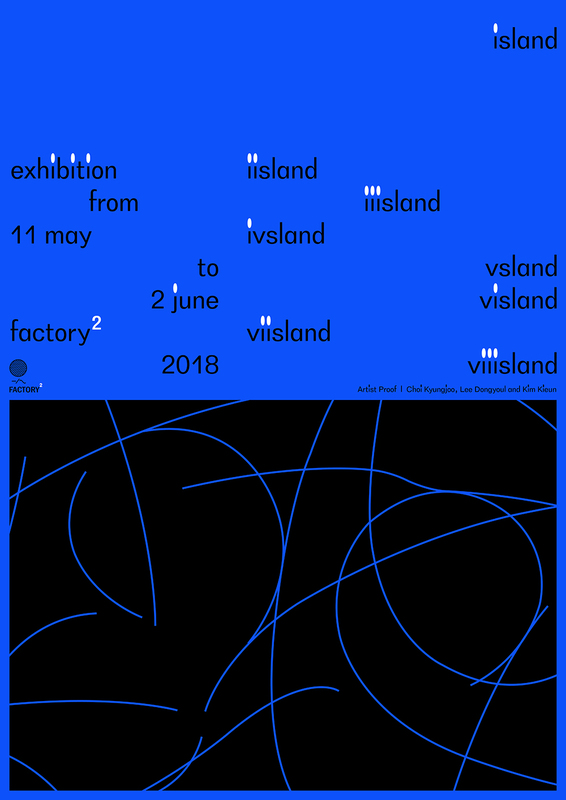 Poster for the exhibition, island by Artist Proof(Kyungjoo Choi, Dongyoul Lee & Kieun Kim) at Factory2. 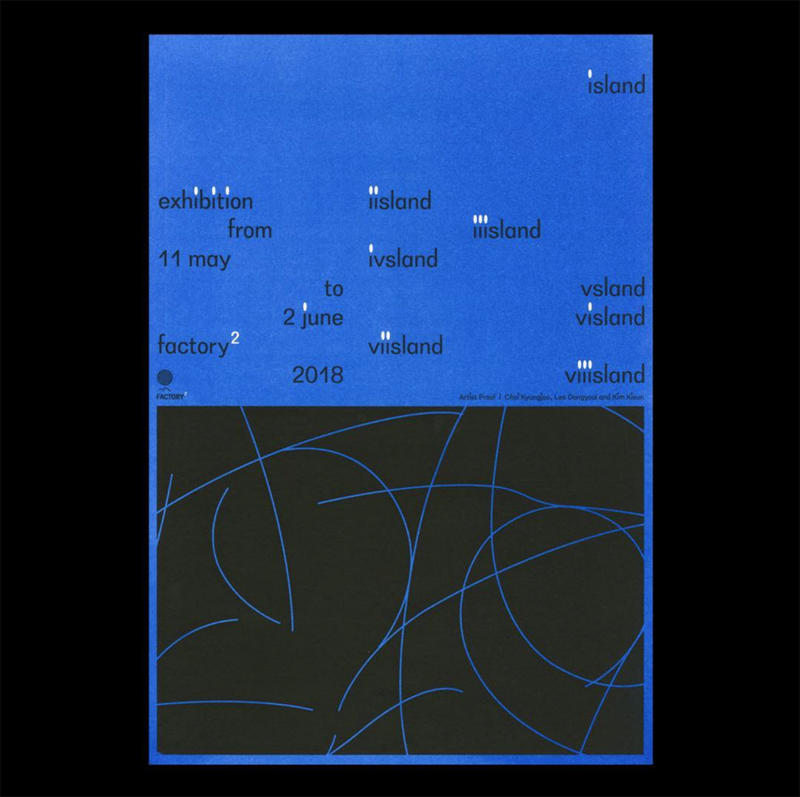 The exhibition extended to the publication/album island published in June 2018. Poster is printed by Corners(Photograph by Corners).